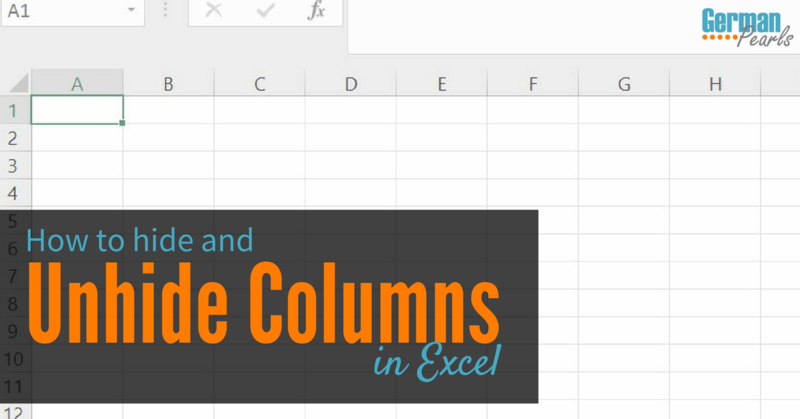 It can sometimes be useful to hide and unhide columns in Excel. 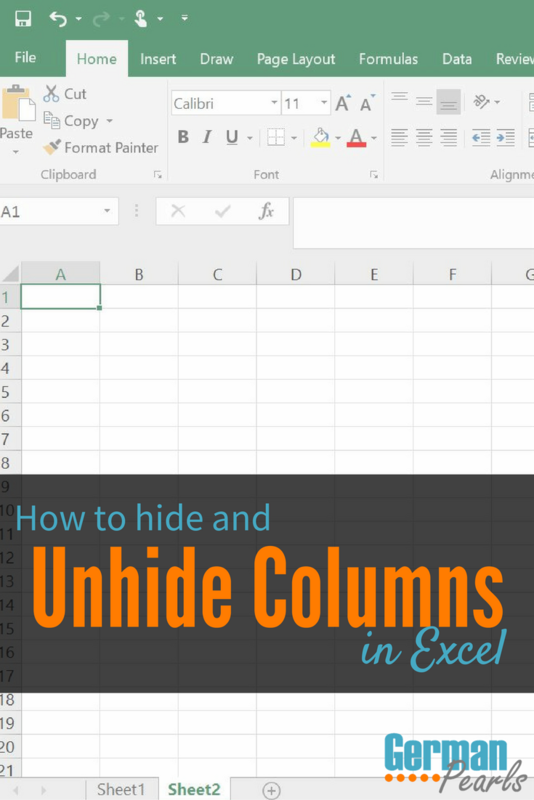 If you need to know how to hide a column, check if there are hidden columns or unhide a column in Excel, here’s how. If you’re like me than there’s no such thing as too much data. 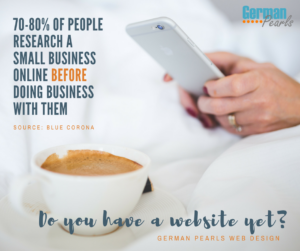 But, while saving a lot of information may be helpful, it may not make it easy to look at the information. Too much data can make things confusing to you and anyone with whom you’re sharing your spreadsheet. Or, what if you have some information that you don’t want others to see? Just hide those columns in Excel. 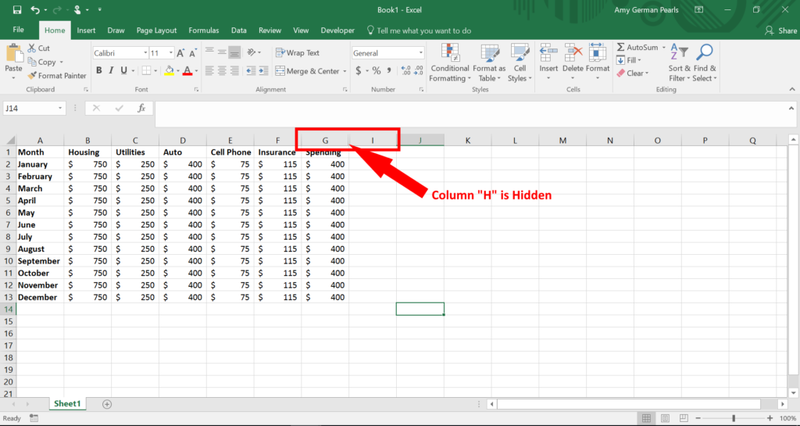 An easy way to see if a column is hidden in Excel is to scan across the column headers and see if any letters are missing. For example, in the spreadsheet below we see column A, B, C, D, E, F, G and then I. Where’s “H”? That column is hidden in this Excel spreadsheet. 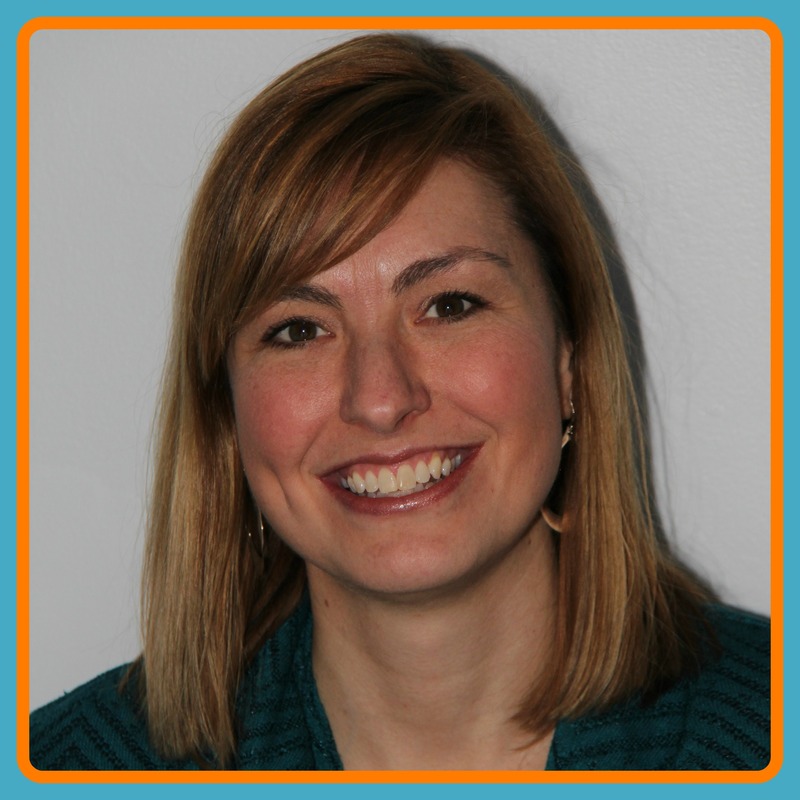 Now that you know how to hide columns, how do you get them back? 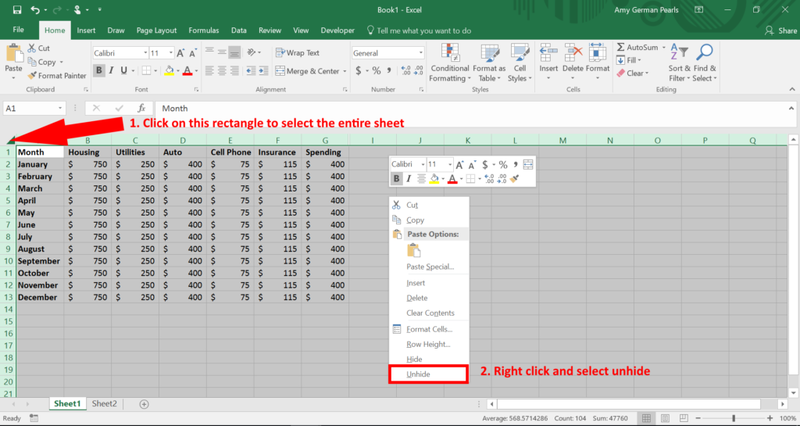 What if you receive an excel file from someone and you notice that some columns are hidden? How do you view the hidden columns? 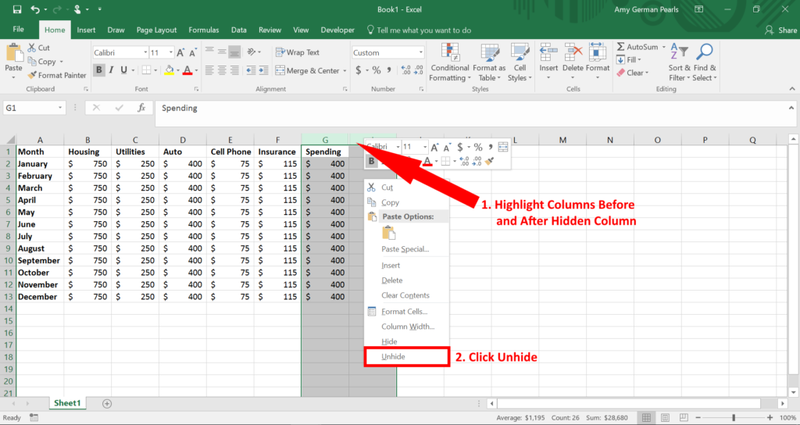 Hiding columns in Microsoft Excel can help you cut down on the clutter and see data more clearly. 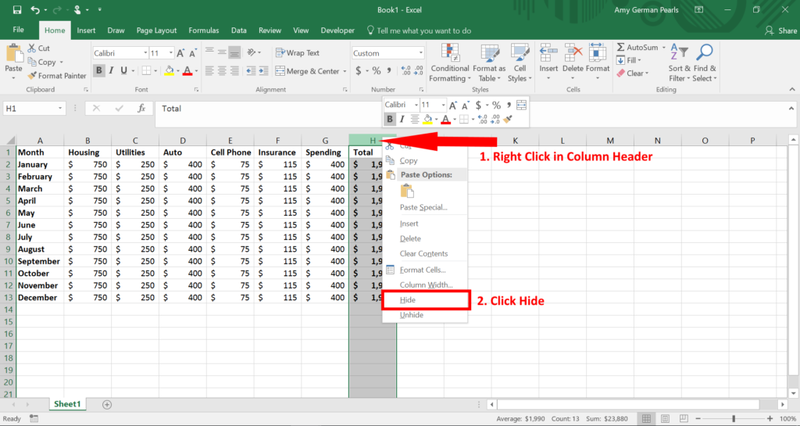 If you have trouble hiding or unhiding a column in Excel leave a comment or contact me. I’d be happy to help.